The spring is just around the corner and the days are getting longer and longer. We have gathered a great collection of online casino bonuses for players that can’t get enough of spinning the reels on the best video slots on the planet. 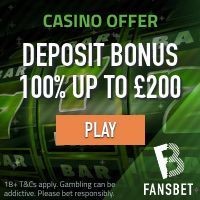 If you’re looking for some no deposit spins, exclusive deposit match bonuses or massive welcome bonus packages then make sure to check out the short guide here below and get straight into the action with our top rated online casinos! Get 20 No Deposit Spins and a £/€600 + 180 Extra Spins Welcome Bonus Package at Dunder Casino! 1st deposit: Enjoy a massive 100% match bonus up to £/€50 + 180 extra spins on the Starburst slot. Your 180 extra spins will be given in batches of 20 free spins per day for 9 days following your deposit. Dunder Casino is fully licensed by the UK Gambling Commission and the Malta Gaming Authority. They offer a great portfolio of casino games which are provided by NetEnt, Microgaming, Play’n GO, Yggdrasil and many more. Click here and visit Dunder Casino and claim your 20 No Deposit Spins in Starburst and more! Start your membership at Mobilebet with 20 No Deposit Spins in Gonzo’s Quest – EXCLUSIVE OFFER! UK: First Deposit Bonus of 100% match up to £25! Finland: 200% Bonus Match on your First Deposit! Norway: Welcome Bonus Package worth up to 4500kr + 300 Casino Spins! Germany: First Deposit Bonus of €150 + 25 Casino Spins! Click here and join Mobilebet and get 20 casino spins in Gonzo’s Quest – No Deposit Needed! Join SlottyVegas Casino and get 25 No Deposit Spins in Starburst – EXCLUSIVE OFFER! SlottyVegas Casino is one of the most popular casino on CyberCasinoIndex.com. The reasons are plenty but first and foremost they offer an exciting combination of top quality casino games and generous player promotions. New players can enjoy a cost free gift of 25 no deposit spins in the Starburst video slot when they sign up and also enjoy a first deposit bonus of 100% up to £/€/$500 + 50 spins on Game of the Week! Enjoy SlottyVegas Casino and play the best titles from NetEnt, Cryptologic, Yggdrasil Gaming, Microgaming, ELK Studios and more. Click here and become a member of SlottyVegas Casino and get 25 No Deposit Spins and more! How about 50 No Deposit Spins and Multiple Welcome Deposit Offer Options at Casino Room? Casino Room has been around for more than a decade. This casino offer a fully independent game collection which include all the best game providers including Play’n GO, Scientific Games, Bally Technologies, Nextgen Gaming, Aristocrat, Betsoft, Microgaming, NetEnt and more. Casino Room is licensed in the UK and EU and provide a safe and secure gaming environment. New and eligible members will start of with 50 no deposit spins which are available in the following slots: Butterfly Staxx, Twin Spin, Gonzos Quest, Aloha! Cluster Pays, Joker Pro, Jackpot 6000, Guns n Roses, Jack and the Beanstalk, Pyramid – Quest for Immortality and Dazzle Me. But the best part of being a member of Casino Room is their Multiple Welcome Deposit Offer Options that allows the player to choose between three bonus options on each of the first five deposits! 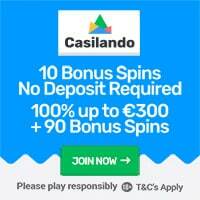 Click here and join Casino Room and claim your 50 No Deposit Spins and much more! No Deposit Bonuses at ComeOn Casino! Players residing in the UK: Get 20 No Deposit Casino Spins in Starburst + 100% up to £25! Players residing in Germany: Choose your First Deposit Bonus – Deposit €10 and play with €50 or get 100% deposit match up to €100! Players residing in Sweden: Get 10 No Deposit Spins in Starburst and Choose your First Deposit Bonus – Deposit 100 SEK and play with 500 SEK or get a 100% first deposit bonus up to 3000 SEK! Click here and visit ComeOn Casino and enjoy No Deposit Bonuses and Welcome Deposit Bonuses! CLICK HERE AND CHECK OUT ALL OUR ONLINE CASINO BONUSES!